Sometimes during the holidays there are those days that the weather is really not that great outdoors. 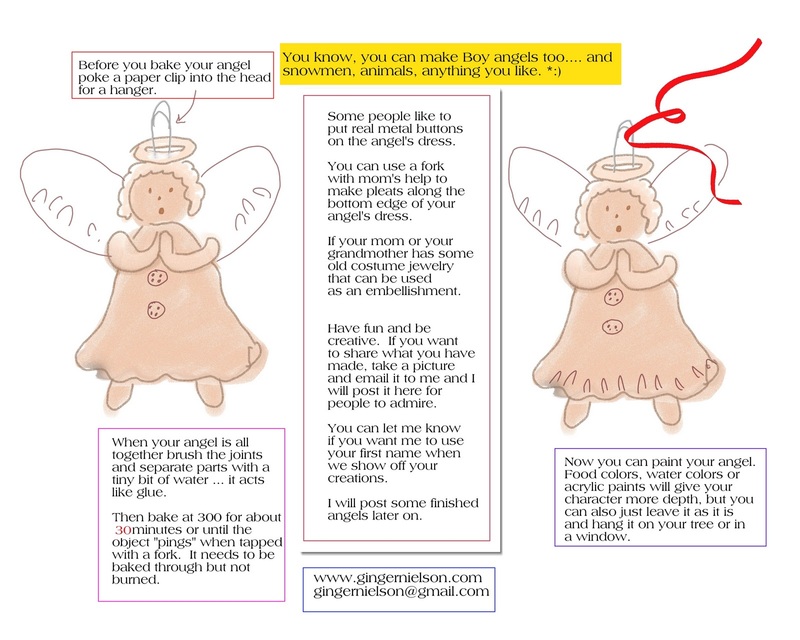 When that time comes, and the holidays are close at hand, it is fun to make these great little angel decorations. 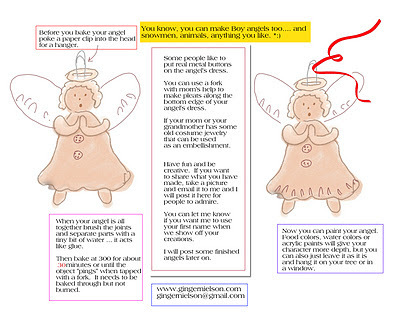 They don't need to be angels, they can be snowmen, or cookie cutter people or critters. 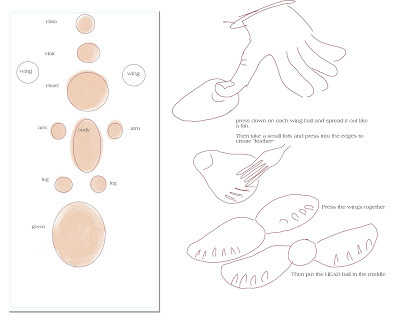 Here is the recipe for CLAY DOUGH you can bake. If you cannot see it clearly, click on it to enlarge the image. 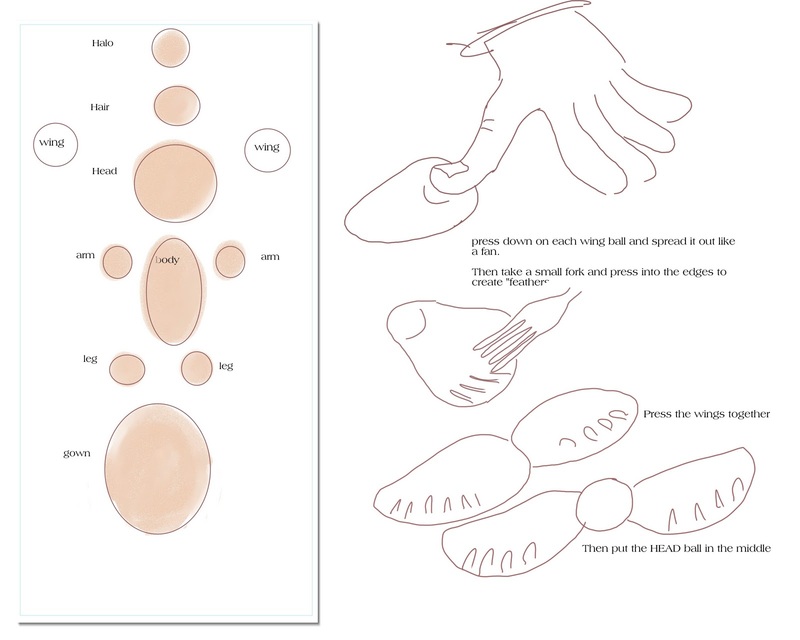 Sometimes if your dough gets too dry, just wet your own hands a little bit and knead the dough some more to soften it. I keep it covered while I work. Using a damp paper towel works well. 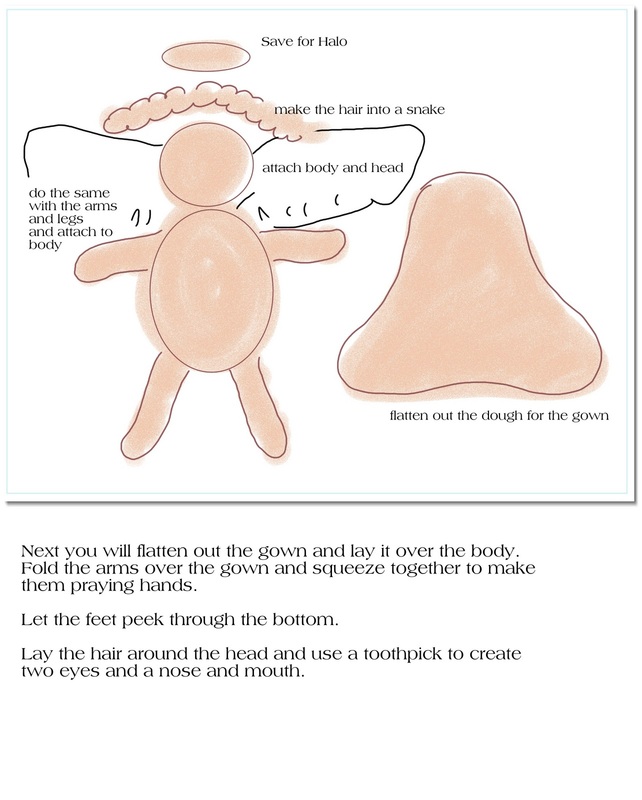 These are fun to make and can be hung on a Christmas tree or in a window. I am delighted to say that two new books I illustrated have been released by 4RV Publishing, LLC. 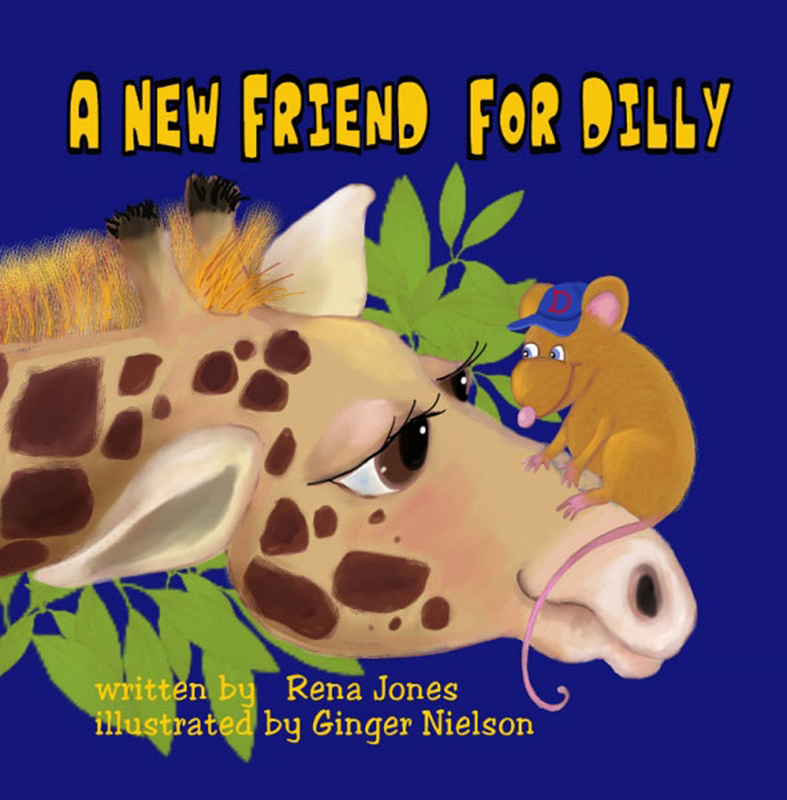 The continued adventures of Dilly the Pickle loving rat, by Rena Jones is a heartwarming and humorous romp through an alphabet of possible new friends. His final choice will lead him right into a new story I am sure. Another new book, Sammy the Shivering Snowblower, really hit home with me. Living in the northern New England area we are used to snow and having any kind of help removing the mountains of the white stuff is key to getting where you want to go. 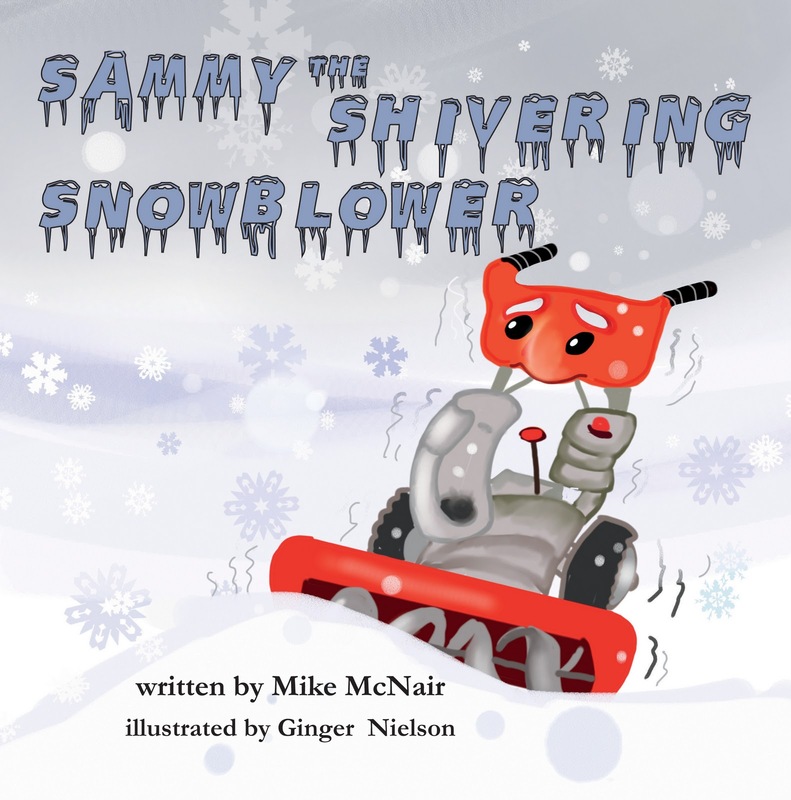 Sammy's story is written beautifully by Mike McNair. He has a flair for humor and pairs that with a genuine care for feelings that we all share. Both of these books are available on the 4RV Publishing site. There is a sale going on until Dec. 5.